The WordPress editor hasn’t seen big changes over the years since its creation. Now we are seeing a complete revamp of the editing experience with the WordPress new editor – Gutenberg. The name coming from Johannes Gutenberg, who introduced printing to Europe with the printing press movable type in 1439. This project is being developed as Gutenberg plugin has plans to be merged to WordPress core around August as announced in WordCamp Europe by Matt Mullenweg (WordPress founder). There are lots of resources out there talking about Gutenberg, what is it, how to use it, and how to extend and develop on top of it. In this article, I will not add to those great resources but instead will talk about how we – WordPress Beirut Community, contributed to this project by translating it into Arabic. In Beirut, Lebanon I initiated the first WordPress Meetup in July 2017 (1 year ago), we were meeting monthly to discuss WordPress related topics varied from beginner to advanced level. After 12 monthly meetups, the community was mature enough to start something new! Something that will engage more people. 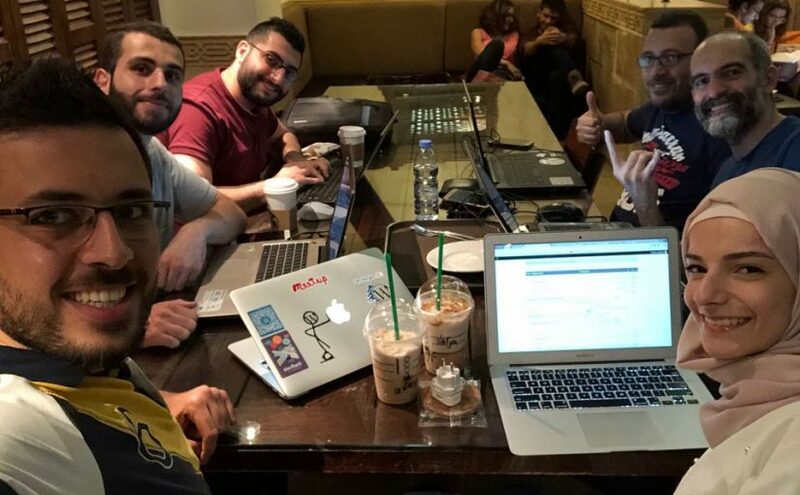 We – wpBeirut Meetup organizers – agreed that we need to increase members familiarity with contributing to Open Source, but we need an easy starting point, a place where the members can feel engaged and can contribute without a high prerequisite level of skills. Here came WordPress Translations! We decided to meet monthly and contribute for 2 hours/month to WordPress Translations, believing that doing something small and continuous will have good results. At the end, we were able to increase the progress of the Arabic Gutenberg translations from 8% to 100%. On 19 June we gathered at a coffee shop, 6 of the community members showed up after our call to volunteer. We were able to complete till 59% of the strings during 2 hours. On 19 July we gathered for the second time in the same coffee shop and again 6 members showed up. This time we were able to complete 100% of the strings during another 2 hours. Do you want to contribute to WordPress Translations? Check the First Steps here.